As of April 2018, India is the 3rd leading country globally with a base of 59 Million active Instagram users just after US & Brazil. In this increasingly advancing social media universe, Instagram has become a great destination with tremendous potential for businesses. Thus, it is important to get the Instagram content strategy right and different from your competitors! A good Instagram content strategy gets the attention of readers, however, a great content strategy keeps them engaged for long. Having such a strategy is particularly essential in the beginning to tap readers, fans, followers and eventually, customers for your business. Once you discover an arrangement that works for you, you just have to follow the lead. Let’s get started on this journey to discover your Instagram Content Strategy. Are you looking out for content strategies that will bring you, new followers? Or to keep your audiences engaged? Or for more? Use these amazing tips to get them anchored to your profile for good! Understand the objective of your business and what defines your brand. Conceptualize how you would like to present these objectives in your Instagram content, be it photos, videos, posts, stories, hashtags, etc. 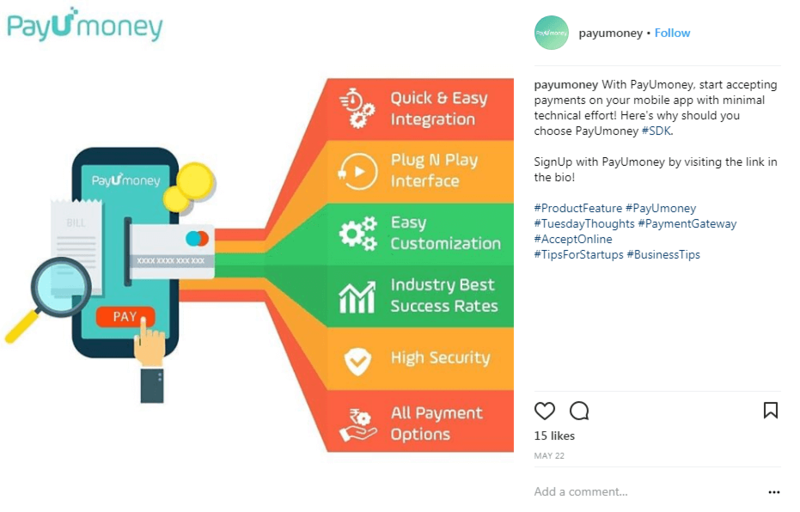 For example, PayUmoney uses similar visuals like colors, fonts, and dedicated logo to stand out as a distinct brand to the audience. Using consistent visuals, helps you build your visual brand voice and create your version of the brand story. Keep your content creative and colorful, featuring your products and services to the best. In addition to that, use Instagram stories! Instagram Stories are gaining popularity day by day. This new feature by Instagram lets you publish photos, videos for 24 hours after which they disappear. These stories have some amazing features such as adding stickers, hashtags, location, polls, gifs etc. that make them attractive and interactive. Not only this, but they also provide the “Swipe Up” outbound link feature on sponsored stories (available to Instagram accounts with more than 10,000 followers). Be creative, be spontaneous, and keep buzzing. Post behind-the-scenes, live videos, Q&A, new product launch glimpses, campaign promotion posters, etc. on these stories. Direct viewers to various landing pages using ‘Swipe Up’ and thus increase revenues. Make the content easily readable and viewable making it appropriate for better understanding. This will provide the opportunity for more people to see and engage. However, be careful not to deviate from your brand voice. Captions are one of the most important parts of your post, and also, often the overlooked ones. Though there is a limit of 2200 characters for the caption, brands must put in efforts to make it worth reading. They are part of your brand story and contribute massively to generate customer connection and hence interaction. Viewers don’t just read ‘description’, they look out for a story which is interesting, builds a mood, showcases an experience and inspires them for action. Place the key information of your message in the first few lines of your message. Ideally, it should not be more than 2-3 lines. Ensure the language used is not bombarded with jargons, but is simple, creative, user-friendly and most essentially, relatable to your brand context. Induce a User Generated Content in your caption like asking questions, asking to share an opinion or feedback etc. This will encourage your customers to come on board for communication with your brand and give them the feel of belongingness. However, do not get personal. You are given this feature for a reason, make most of it! Hashtags make you They help you connect with new viewers and followers. Hence, research appropriately to understand the popular ones for your audience and use relevant ones in your post. 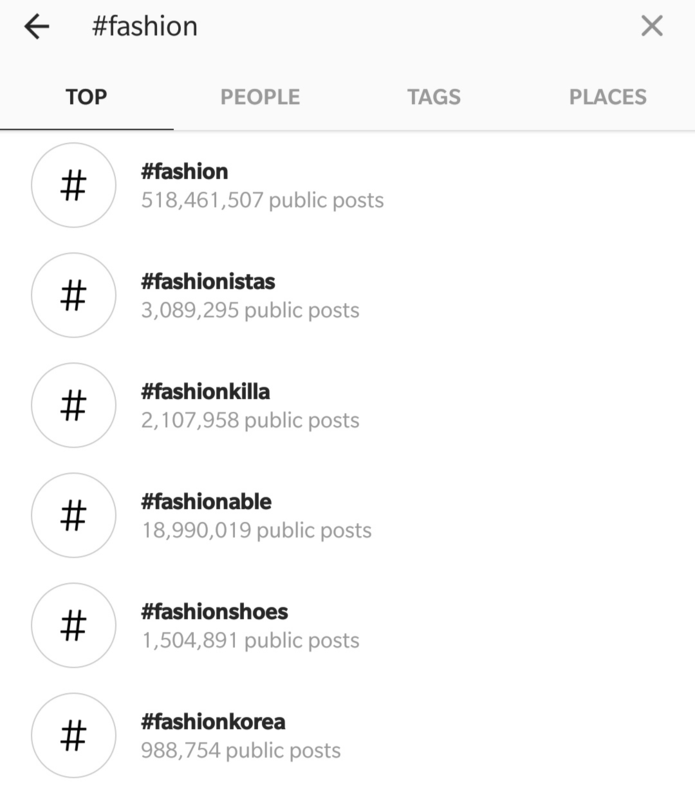 For example, your business is related to Fashion, type #fashion and you will get the search results (as shown below) along with a number of public posts for the hashtags. If you wish to create a hashtag of your own i.e., branded hashtags, keep them relevant and easy to remember. Promote them on all your social media platforms like Facebook Page/ Groups, Instagram Page, Twitter Page etc. This will ensure discoverability, increased engagement, and better recall. 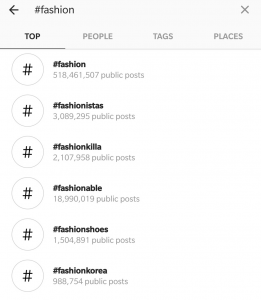 Pro Tip: For better results, use a mix of popular hashtags (to drive traffic) and branded hashtags (to promote the brand); at least in your initial Instagram journey. Geolocations: Geolocation or location tagging allows users to search, tag, comment and engage with your content associated with the particular location. Organizations promoting travel and events can particularly leverage this feature for user involvement. The physical stores may also create a location for their store through a Facebook check-in and use it on their Instagram account. It is recommended to use this location in every applicable post for audience engagement. Also, you may use the geo-tagging sticker in your Instagram stories to promote your store and thus, the brand. Use and find out what makes your audience interact with you. Note the posts that drive maximum engagement, refurbish your content accordingly and keep optimizing. Be regular in posting your content as it creates a routine for followers to check updates on your different products and services on that specific day or a specific time. Hence, you make the customers come to you on the exact day and time you want. Content will always be the foundation of your Instagram Business Profile and distributing it, is the next stage. 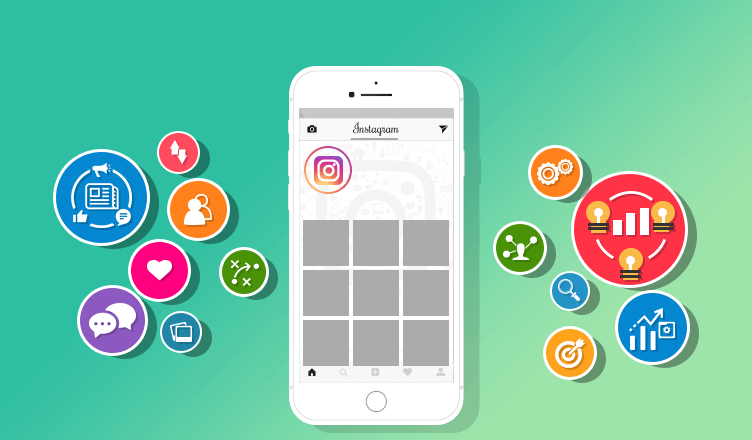 The beauty of Instagram is, it allows you to directly connect to your profiles on Facebook, Twitter, and Tumblr, providing you opportunities to cross-promote your content across various other channels. So gear up and formulate that winning Instagram content strategy which captivates your audience!